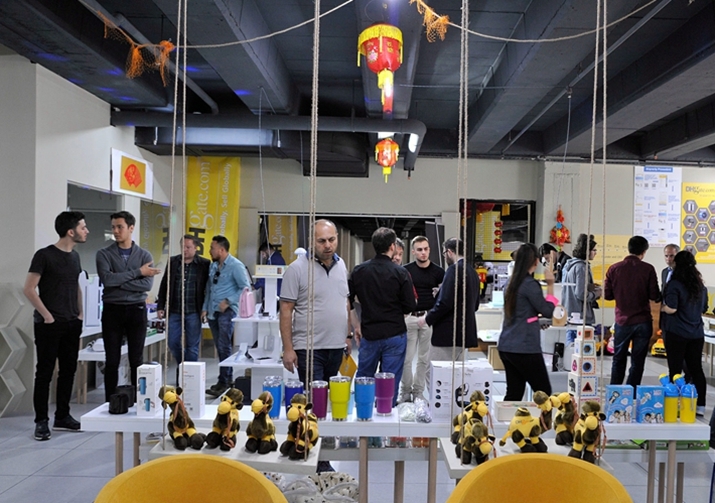 For the Istanbul-based Omer Atici, a new door of opportunities opened when he received his first order on DHgate.com, a Beijing-headquartered e-commerce platform for business-to-business (B2B) sales, shortly after he started selling electric devices there in December 2018. Atici, among the first batch of Turkish sellers to join the online wholesale marketplace, became the first overseas seller to receive an order even without an advertising campaign. "I never expected to get an order that soon or export my products so easily," he said. "I used to focus on the offline market in Turkey, but DHgate.com has made exporting possible." Next he plans to expand his range of products into distinctive Turkish personal care and household products. Founded in 2004, DHgate.com is the leading one-stop trade and service platform, connecting micro, small and medium-sized retailers from every corner of the world with high-quality manufacturers. DH stands for Dunhuang, a city in Gansu Province in northwest China that was a hub on the ancient Silk Road. The portal markets more than 22 million kinds of goods ranging from electronics to accessories and covers 222 countries and regions. There are about 21 million registered buyers. The platform also provides services like online payment facilities, marketing, financing, customs clearance, logistics as well as tax and tariff payment. Apart from regions that have strong trade, like North America and Europe, it has stepped up efforts to promote digital trade among the countries that have participated in the Belt and Road Initiative. The China-proposed initiative, rooted in the ancient Silk Road, aims to complement the development strategies of participating countries by leveraging their comparative strengths. Four years after it was proposed in 2013, the Chinese Government began to promote a digital Silk Road of the 21st century that would harness cutting-edge technologies like big data and cloud computing to create a borderless digital economy. The China-Turkey e-commerce cooperation project on DHgate.com has made interconnectivity based on the Internet a reality. "The China-Turkey project is only the start. DHgate.com's win-win cooperation has great potential for development," Diane Wang, founder and CEO of DHgate.com, said. In addition to its original role of helping Chinese small and medium-sized enterprises (SMEs) go global, the portal is assisting businesses in other Belt and Road participating countries to export their products. Cross-border trade is creating more jobs in these countries and developing sustainable trade ties. Wang once used a vivid metaphor to describe the business model of DHgate.com: Conglomerates from different countries are like elephants. They may accidentally collide with one another while interacting. But SMEs are like shoals of fishes that can become partners more easily. Based on that concept, the portal has a B2B platform combining online and offline businesses for SMEs and providing foreign trade services so that more enterprises can participate in the global value chain. The platform also exports the cross-border e-commerce model. It had launched training for over 10,000 entrepreneurs of SMEs and individual sellers from more than 20 countries and regions by the first half of 2018. To better segue into overseas markets, DHgate.com has established digital trade centers (DTCs) to showcase products in countries such as the United States, Russia and Turkey and also opened brick-and-mortar stores and warehouses. Hamdi Karadas, a graduate from Koç University in Istanbul, is working at DHgate.com's DTC in Turkey as his first job. Cross-border e-commerce is expected to be a new business growth driver, he said, adding that China has a remarkable edge in this sector. DHgate.com plays a key role in promoting China-Turkey digital trade. A destination on the ancient Silk Road, Turkey has developed closer ties with China since the two countries signed the first memorandum of understanding on e-commerce cooperation in November 2015. According to the document, they will jointly improve infrastructure to make cross-border e-commerce more accessible to their SMEs and develop more complete business ecosystems. DHgate.com's business development director for Turkey, told Beijing Review. "We will try to attract more sellers from Turkey this year, targeting to have at least 3,000 local stores join DHgate.com," he said. As of 2018, the China-Turkey e-commerce cooperation project had trained nearly 2,500 local SME owners and college students and nearly 1,000 Turkish SMEs had opened stores on DHgate.com. The total turnover of the Turkish businesses and the more than 22,000 Chinese SMEs involved topped $1 billion. DHgate.com is exploring growth potential. According to Hou, it is promoting the China-Turkey cooperation model in Peru, Oman and Indonesia. It is also exploring more third-party partners such as SMEs in the Republic of Korea. Adjustments need to be made country-wise because in Peru, for example, there are problems such as transportation glitches and high costs due to the long distance. Foreign trade services such as customs clearance and logistics are also improved. While e-commerce is the new craze, offline stores are being resurrected to complement the new model. Hou said DHgate.com is looking beyond online sales to explore new growth momentum. It is building physical outlets overseas to introduce Chinese products and expand the customer base. The most prominent challenge in the course of going global stems from legal and cultural differences during localization. "You need a lot of time to understand local policies, refine your model to specific projects and develop mutual trust with local buyers and sellers," Hou said. According to Wang, the global demand for products made in China will be strong from a long-term perspective. But Chinese SMEs still need to improve their product quality and build up business credit. The past decade has seen China become a frontrunner in cross-border e-commerce. Last year, the Chinese Government introduced a series of policies to promote the trade such as extending preferential tariff rates to more product categories. Data from the China-based market consultancy iiMedia shows that China's cross-border e-commerce market was worth 9.1 trillion yuan ($1.36 trillion) in 2018 and it is expected to reach 10.8 trillion yuan ($1.6 trillion) this year. According to Gu Xueming, President of the Chinese Academy of International Trade and Economic Cooperation under the Ministry of Commerce, China's cross-border e-commerce has experienced explosive growth in recent years and is shifting from low-quality and extensive production to high-quality and orderly development. This has furthered domestic supply-side structural reform and upgraded people's consumption habits. In future Belt and Road cooperation, high-quality cross-border e-commerce will play a more important role.